In the far north east of the Schwarzwald republic, lies a small rural costal village by the name of Hugel. Hugel is a quiet, yet festive fishing village, hosting a variety of games and activities for tourists, as well as hosts the hunter and trappers guild. 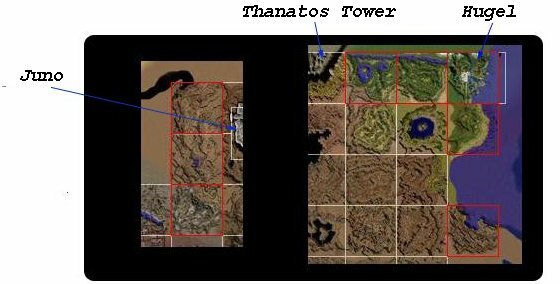 Because of its geographic location, the city of Hugel grew much different than the other Schwarzwald cities, being seperated by both Thanatos Tower and Abyss Lake. Because of increasing attacks on travelers, going by Airship is possibly the safest way to enter Hugel. The Schwarzwald airship has recently adjusted its route to cover Hugel, its new route being "Juno->Einbroch->Lighthalzen->Einbroch->Juno->Hugel->Juno". Adventurers visiting Hugel can enjoy many different things. 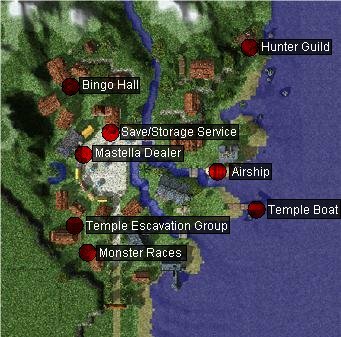 If you have friends handy, the Bingo hall in the top left allows a group of 5 players to play, and every 10 minutes the monster races take place in the bottom left corner of town. Those interested in adventuring can take a short boat trip from the eastern docks to Angrboda island for 500z to wherewhat remains of the great Odin's Temple stands. Those wishing to class change to Hunter may have found that the Hunter's guild has been moved to Hugel. 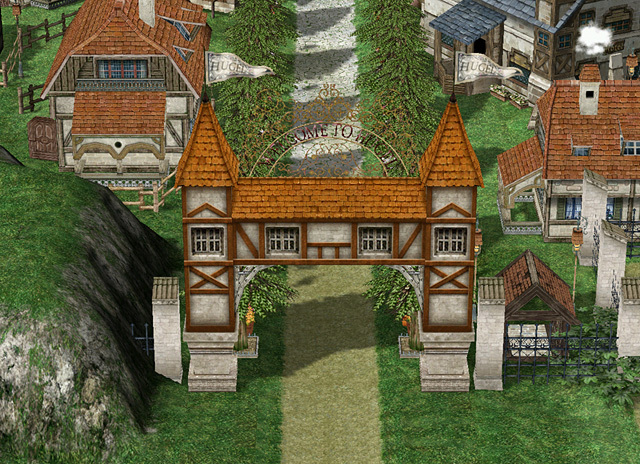 You can find the guild building in the top right corner of town. Its rumored that the Hunters guild isn't the only one to make a relocation; the blacksmiths guild also recently moved to the forge in the southeast corner of Einbroch city. Supplies and storage services can be located near the center square in town. Visitors will be able to purchase Hugel's unique crop of fruit, the Mastella Fruit. A Cool Event Corp NPC will handle storage and saving services in Hugel, as Kapra is unable to staff such a far away place. And last but not least, talk around to those living in the city. Many people have problems that they are looking help to solve, and it could be worth your time to help them out. Numerous field maps are added to the Schwarzwald Republic. With the 10.4 update, the entire Schwarzwald republic is complete, and no new Schwarzwald maps will be added. The following is a list of fields added. Hugel: 3 new field maps. Juno: 1 new field map. Einbroch: 3 new field map. Of all the new field maps, only those directly adjascent west and south of Hugel can be memo'd for use with warp portal. The new dungeons, Odin's Temple and Kiel Hyre are not shown on the map to the right. While Angrboda Island (Odin's Temple) is outdoors it is usually considered a Dungeon. The Island is accessable from the Temple Boat in Hugel. Kiel Hyre dungeon is hidden and underground, and while a quest is required to gain access, the entrance is hidden on an existing map in game, behind the Kiel Hyre Acadamy.